Clean Label : what it is and how to comply ? Clean Label is there to stay. As said by Lu Ann Williams, Innova Market Insights: “It’s not really a trend anymore, it’s the new rules of the game”. Over the past few years, consumers have been looking more and more for products with cleaner label. It has been a wake-up call for the food industry to create or re-formulate some of their products that fit in consumers’ wants. This desire for cleaner label might also go in pair with actions undertaken by governmental authorities to help customers better understand what they are exactly consuming, such as the new Nutrition Fact Label set by the FDA in the US. How to define clean label? It is difficult to clearly define clean label, as it is a concept that incorporates different trends. When asked, clean label can have different meaning from one customer to another. It will depend on their own expectations, wants and perceptions. Even companies have difficulties in interpreting the exact meaning of clean label. 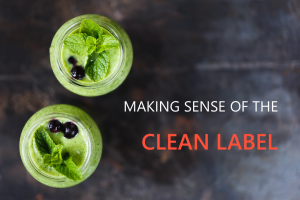 A Decision Analyst survey shows that nearly 60% of the respondents are aware of “clean label” products but do not fully understand the exact meaning. However, clean label often refers to the number of ingredients in a product and their countries of origin. Consumers are paying more attention to the label, list of ingredients, nutritional value and claims. This concept also includes if the supply chain follows ethical rules, and if a company is socially responsible. Therefore, clean label encompasses a broad range of concepts from transparency, all-natural, organic, non-GMO, free-form to locally grown. According to a 2017 Nielsen study, “clean” products’ sales keep rising compared to traditional products’ sales which are declining. Clean label represents 33% of the total food and beverage market, 1.2% higher than in 2015.
Who buy products with Clean Label? Why is it important to know it? Income level and age group play major roles in determining if a person is more likely to purchase clean label products. However, Millennials, with annual household incomes over $100,000, are clearly driving this shift. Millennials, those born between 1977 and 1994, account for 24% of the U.S. population and represent the largest generational group. They are in their active years, which means they have revenues to spend. They are also a tech savvy generation, so they have any information at their fingertips. They can look up ingredients, compare products and look at products’ reviews. On the other hand, it is a great way for companies to promote their brands, share information about their products but more importantly connect with their consumers. Therefore, it is important to understand who are buying these “clean” products to better tailor product innovation, re-formulation and marketing strategies. Clean label : are companies embracing the concept? Some companies have successfully embraced the clean label concept. For instance, in 2015, Kraft Heinz re-formulated its Macaroni and Cheese, without telling consumers for months. To keep the recognizable orange color of their product, they removed artificial colors and preservatives, and replaced them by paprika, annatto and turmeric, which themselves have health benefits. Nestle is also adapting to this new consumers’ preferences. It has unveiled a new chocolate bar which uses an innovative sugar reduction technique, without altering the taste. Indeed, for existing products, it is important for manufacturers to move towards “cleaner” products, without compromising the taste. More recently, Red Bull, which is usually not the first brand perceived as natural and healthy, has launched a new line of products. Only available in two regions in the US, this organic soda line is another example of how companies are embracing the clean label concept. 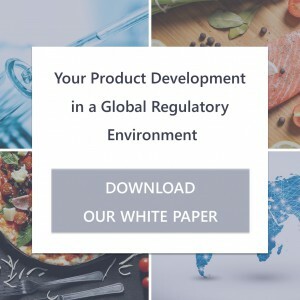 Food and Beverage Manufacturers are clearly interested in re-formulating products or innovating in order to be more appealing to consumers who want cleaner products. How to make clean label products? Consumers see products with shorter ingredients list as “cleaner”. However, it is challenging to formulate or re-formulate products with fewer ingredients. It can take months of work to make sure that the ingredient list is the only noticeable change to a product. Even though consumers are looking for shorter ingredient list, they are expecting products to be tasteful. In the case of re-formulation, it is even more challenging as they are expecting new re-formulated products to taste the same. Having less ingredients can also mean a shorter shelf life. 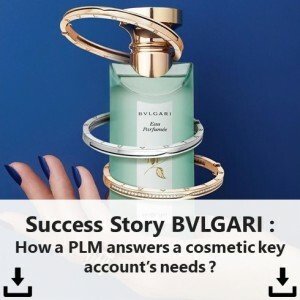 Therefore, it is a tricky game to balance the consumers’ wants and needs with the actual feasibility of formulation, but it is not impossible. Firstly, manufacturers should have a better understanding of what “clean label” means for their consumers. For instance, are they looking for only natural flavors and colors, or recognizable ingredients’ names? Then, businesses can take the necessary steps to meet those expectations, such as communicating the ingredients consumers do not recognize and perceive as harmful, find more natural alternatives, or remove certain ingredients such as artificial colors. Acerola: it is a great source of vitamin A & C, and antioxidants, which can replace chemically synthesized vitamins and minerals. Lemon juice concentrate and tartaric acid: these two ingredients are natural acidifiers, which can replace other acidity regulators such as citric acid E330. Stevia and agave: both are popular substitutes for sugar or other artificial sweeteners. Turmeric, beets, carrots, and spirulina: such ingredients are used to replace artificial food colors. They are even more interesting since they have health benefits in addition to their distinct colors. Flours of flaxseed, chia seed and tiger nut: these natural ingredients interest manufacturers because of their emulsifier role. They could replace ingredients such as mono and di-glycerides. 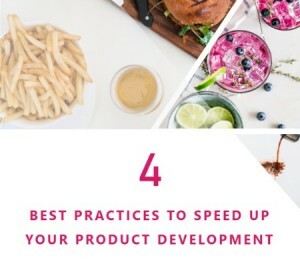 Tips: Replacing ingredients in existing formulas can become cumbersome, especially when a company’s product portfolio is large. However, there are IT solutions that can help R&D teams manage those mass replacements. Clean label movement affects packaging materials and design. For instance, these past years, there was concern about packaging containing bisphenol-A (BPA). As a reaction to market demands for safer packaging, most companies have replaced their packaging for BPA-free containers. In 2018, it is believed that 90% of food cans are made with new non-BPA linings. Regarding, the front-of-package labeling and design, it is also important to convey the clean label concept. Indeed, the wording used on a product packaging can help consumers make a purchasing decision. As mentioned above, different trends are included in the clean label concept, such as “gluten-free”, “non-GMO”, “organic, and “all-natural”. Consumers are more likely to perceive a product with these claims displayed on the packaging, as a clean label product. Tips: It is important to have the right processes and workflows in place to streamline communication among all stakeholders, from R&D, marketing, quality teams to creative agency. This will ensure that a product comply with regulations but also meet consumers’ expectations about clean label products and packaging. Clean label is not just about the ingredient lists or what is advertised on a packaging; it also refers to a product’s impacts on the environment and people. Consumers are becoming more aware of companies’ practices, and have high expectations on how businesses handle their product development. Corporate sustainability and responsibility are essential for consumers to assess the quality of a product. Every aspect is important, from ingredient sourcing, fair labor practices, animal welfare, and pollution to manufacturing practices. Manufacturers should, therefore, strive for more transparency of the whole supply chain. The clean label concept is shifting from the label to processing. Research & development, quality and marketing teams are essential to develop new products or re-formulate existing one. They play a major role in innovation. However in order to successfully embrace the clean label concept, they need the appropriate support in place. 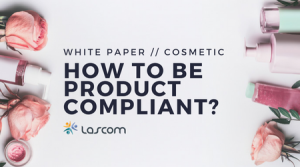 Discover how Lascom Product Lifecycle Management software can help you manage your product development and meet clean label requirements. Share the post "Making Sense of the Clean Label Concept"
Thank you for the good blog. Simple too understand and well-covered in all aspects.